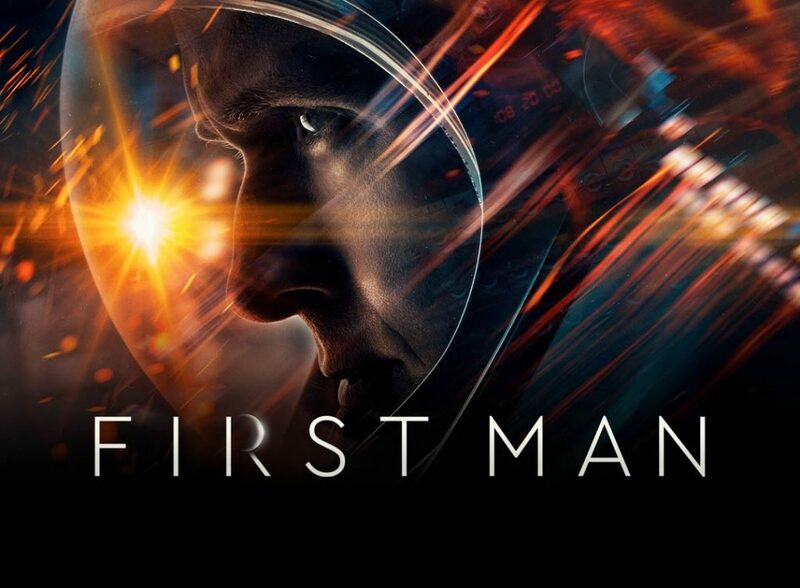 First Man is the Neil Armstrong biopic directed by Damien Chazelle (La La Land, Whiplash) and stars Ryan Gosling, Claire Foy, Jason Clarke and more. I absolutely adore La La Land and Whiplash so obviously, I was super excited for this movie. It does not disappoint at all. The film is brilliant in practically every area. One of my favourite parts was the exceptional sound design and John Hurwitz score. During all of the space sequences, the sound effects created are extremely effective and make those scenes extremely intense. John Hurwitz’s score is also easily the best this year. It elevated the quality of several scenes like the moon landing. Furthermore, the absence of the score in certain scenes was an extremely goood touch and let certain moments have a lingering impact on the audience. Another technical aspect that stood out to me was the cinematography. I’ve seen several action movies and have constantly complained that the shaky cam is pointless and actually ruins the action scene. This movie is the exception to this. The shaky cam here is masterfully used and made me feel like I was there with the astronauts. Some of my favourite shots were the POV shots which also added to the effect of being with the astronauts. The scenes that aren’t in space are shot in a way that creates a sense of intimacy with Neil Armstrong and his family. The movie also looked very grainy and this helped established the 1960s setting and atmosphere. One of the sequences that I personally thoguht was exceptionally shot and looked mesmerising in IMAX was the moon landing sequence. The way it was shot, the different angles the cinematographer used, the use of sound, the score. All of this made the final few minutes absolutely exceptional. The technical aspects alone make Damien Chazelle’s direction appear to be fantastic. He and Josh Singer, the screenwriter, managed to craft an exceptional story that evoked a lot of emotion. More than I expected to be honest. There are several scenes like the fire scene which were impactful and sad. Some other scenes that stood out to me were the scene on the moon with the jewelry, the final shot and the scene from the trailer where Neil Armstrong has to tell his kids he might not come home. In addition to this, I also liked how Chazelle chose to focus more on Armstrong and his family instead of just the moon landing. By doing this he created a dramatic story that felt personal. At the same time, he managed to raise a question over whether the money and lives that it cost was worth it and show the bravery that the astronauts had. What bought these interesting themes to life were the exceptional performances. The standout to me was, without a shadow of a doubt, Claire Foy. I thought she carried the emotions in the movie throughout. I haven’t seen The Crown but it definitely jumped up my list because of this performance. She showed incredible range and her chemistry with Ryan Gosling was fantastic. A lot of her best moments are hinted at in the trailer, but she has several more scenes that display the acting talent she has. The rest of the supporting cast was also stellar and Jason Clarke stood out to me. He’s great in pretty much everything he is in. Now, let’s talk about the one issue I have with this film. Ryan Gosling’s Neil Armstrong. Look, Ryan Gosling has moments where he is absouletly phenomenal like the bracelet scene. I also thought he and Claire Foy captured the relationship dynamic between Mr. and Mrs. Armstrong really well. Apart from this though, the writers made Armstrong a pretty bland and unlikeable character. I didn’t really love anything about him. I understand that Armstrong didn’t really show how he felt a lot of the time. But in a movie, it is hard to root for a character when you can’t find a way to like him at all. In any other movie, this could have ruined the entire movie. However, the fact that Armstrong wasn’t very revealing about his emotions means I understand why they had to write his character like this. I’m just disappointed because Ryan Gosling is a terrific actor who I felt was wasted and restricted in this role. I do however, appreciate the fact that Ryan Gosling didn’t overact in this and stayed true to the character. I just feel like anyone could have played this role and he didn’t make use of his obvious talent. That really is the only flaw I have with First Man. It is one of the best films this year and is guaranteed to get Oscar nominations for Best Film, Director, Screenplay, Supporting Actress, Sound Design, Sound Editing, Score, Cinematography and probably more. This movie is an incredible experience and I would definitely suggest you see in IMAX for the moon landing sequence alone. I’m going to give First Man an A.